With summer upon us, comes the first barbecue recipe from The Veg Life. This pizza could technically be done on the grill using a pizza stone or baked in the oven. We baked ours today. 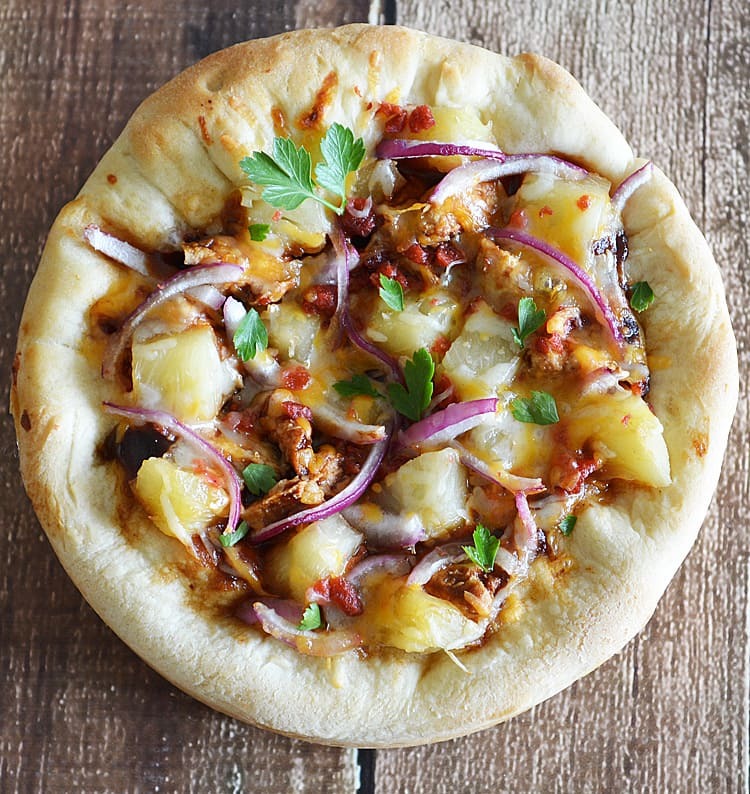 Following tradition, this Hawaiian Barbecue Chicken Pizza begins with barbecue sauce covered vegan chicken-free strips that we chopped along with pineapple, red onion, soy bacon-flavored bits and vegan cheese. Doesn’t this look A-M-A-Z-I-N-G??? You could always use a larger pan for a thinner crust, but I really wanted deep dish style for this recipe. 8 Vegan Chicken-Free Strips I used Gardein Teryaki Chick'n Free Strips - without the Teryaki sauce but you could use any brand such as Beyond Meat if you can find it. Once the dough cycle is complete, lightly spray the pan and coat the dough so that it doesn't dry out. Cover with a towel and let rest for 10 minutes in a warm place. The dough is too elastic at this point to press into the pan. After 10 minutes, it should be more relaxed and you can form your crust. Let rise in a warm place, covered, for 30 minutes. 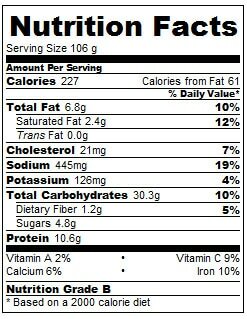 Cook the chicken-free strips according to package instructions. Do not overcook! 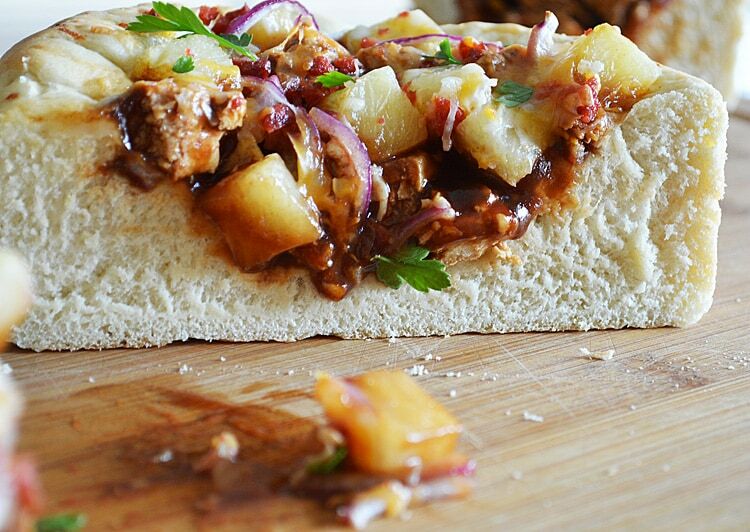 Mix together the barbecue sauce and the cooked chicken-free strips and place onto the uncooked dough that has now risen. 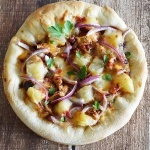 Top with chunks of pineapple, sliced red onion, bacon-flavored bits and vegan shredded cheese (or you could just use vegan parmesan) of your choice. Bake at 400 degrees for about 20-25 minutes or until cooked through and edges are slightly golden. Allow to sit for a few minutes before serving and top with parsley to garnish. Great recipe! We used a pre-made pizza crust to make this a quicker weeknight meal. We also used Trader Joe’s Garlic Sriracha BBQ sauce (which is amazing btw) and Beyond Meat’s chicken strips. Delicious! Thanks for sharing!